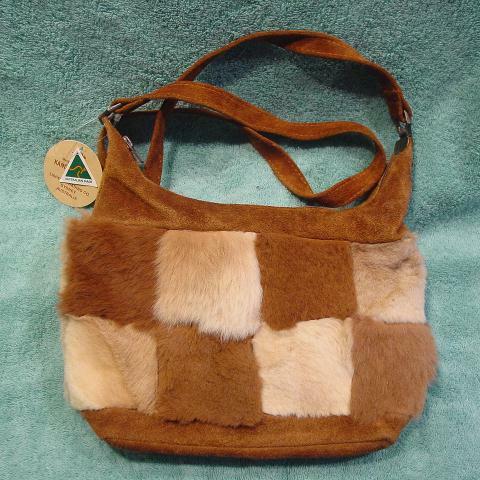 This never-used purse was made in Australia by Lispeer Trading Co. Sydney, Australia. It's made from genuine kangaroo hide. 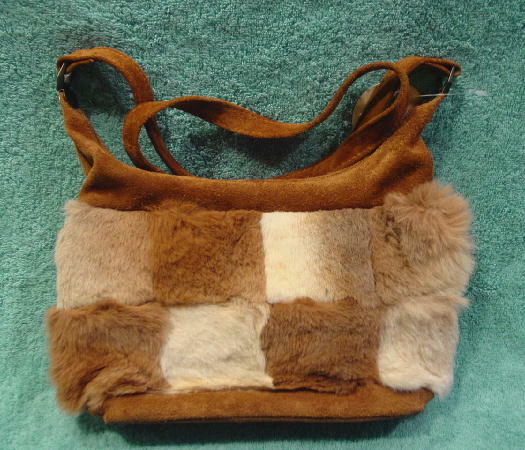 The suede is in a golden brown with eight fur squares on each side in light brown, medium brown, golden-bone, and multiple shades of bone and sand. It has a top side to side zipper and a 39 1/2" by 5/8" shoulder strap. There is a sandy-cement color fabric lining. Eden picked it up in Australia.